According to a report from Strategy Analytics, Apple may have shipped about 600,000 HomePods during the first quarter of 2018. 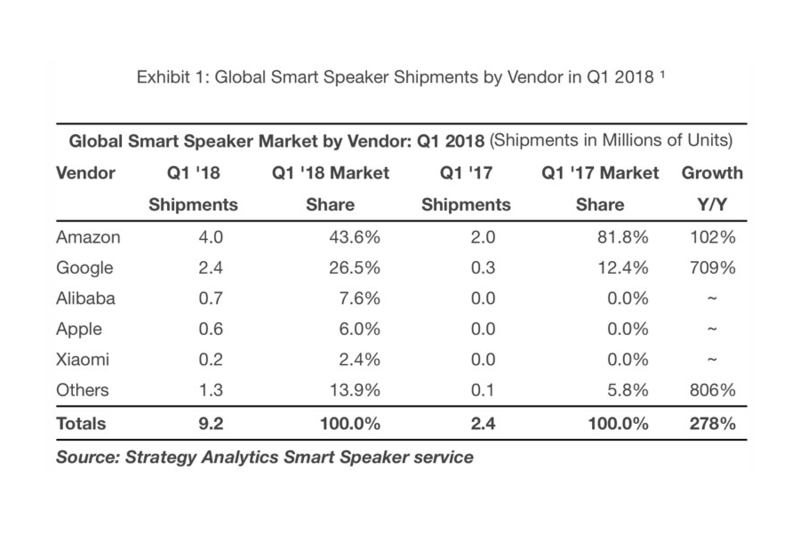 If the report is accurate, this gives Apple around a 6 percent share of the fledgling smart speaker market. While the sales numbers are huge, Apple still lags behind Amazon and Google by a huge margin. In the first place was Amazon who has shipped an estimated 4 million Echo smart speakers during the quarter, for a 43.6 percent share of the market. In second place was Google with estimated sales of 2.4 million Google Home speakers for 26.5 percent market share. Alibaba also came in ahead of Apple with 700,000 shipments, while Xiaomi trailed behind with 200,000. Strategy Analytics reports that Amazon’s shipments increased by two million compared to Q1 2017, while Google’s increased by 2.1 million. Both Google and Amazon have been in the smart speaker business for a longer period of time and the two companies also offer speakers at a range of price points. A Google Home speaker, for example, can be purchased for as little as $129 (or $49 for the mini version), while an Amazon Echo costs just $99.99. The Echo Dot is even more affordable at $49. There are a few grains of salt here. The HomePod did not go on sale until February 9th, so Apple did not have the full quarter, which ended on March 31st, to rack up sales. Meanwhile, Amazon and Google achieved their performance despite their speakers not being available in the Chinese market. Still, the HomePod’s slow start would seem to jibe with the news that the product failed to meet Apple’s expectations. Initial reports claimed that Apple saw its smart speaker 10 percent of the market compared to Amazon’s 73 percent, mostly on the strength of an initial HomePod preorder wave. However, enthusiasm faded after many of the early adopters got their hands on the product, and the HomePod captured only 4 percent of the market three weeks after launch. There are a few reasons why the HomePod may not be selling as well as Apple hoped. The HomePod is priced at $349 – which is too costly compared to Amazon Echo or Google Home. Apple focused heavily on audio quality with the hopes that consumers would be willing to pay more for a device that had superior sound, but the higher price tag, a delayed feature set, and the lack of native support for music services like Spotify have likely stymied Apple’s sales. To make things worse, the speaker and its Siri capabilities only play nice with Apple Music. 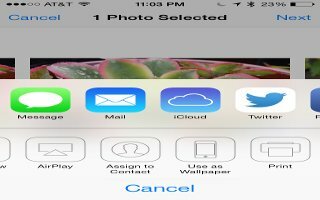 Other music streaming services were forced to rely on AirPlay to beam music from an iOS device to the speaker itself and cannot access voice control. On top of that, you need at least one iOS or Mac device to use the HomePod at all, leaving out PC and Android users who may not own an Apple-made device. Apple also launched the HomePod without stereo pairing support, which is coming later this year. This means HomePods, like the AirPods, works best only for those deep within Apple’s walled garden. There are rumors Apple could develop a cheaper, smaller HomePod to compete more directly with the standard Amazon Echo and Google Home, although more reputable Apple analysts like Ming-Chi Kuo from KGI are not confident that will happen any time soon. However, the HomePod is still new and Apple has just entered the smart speaker market, so improvements and changes to future products could drastically change its position and present some real competition for Amazon and Google.